I have a real sweet treat of a Jewish wedding for you this afternoon folks. Set amidst the boats and charm of Old Jaffa in Tel Aviv, today’s W-Day was planned in just 3 months (nope, I’m not even kidding!) and is bursting at the seams with lots of personal and thoughtful touches. They also loved the concept of having a procession with klezmer musicians parading through the alleys of Jaffa, leading them to their chuppah in a park overlooking the city and the sea. To them, it felt very timeless, reconnecting to a special tradition that doesn’t happen so much anymore. 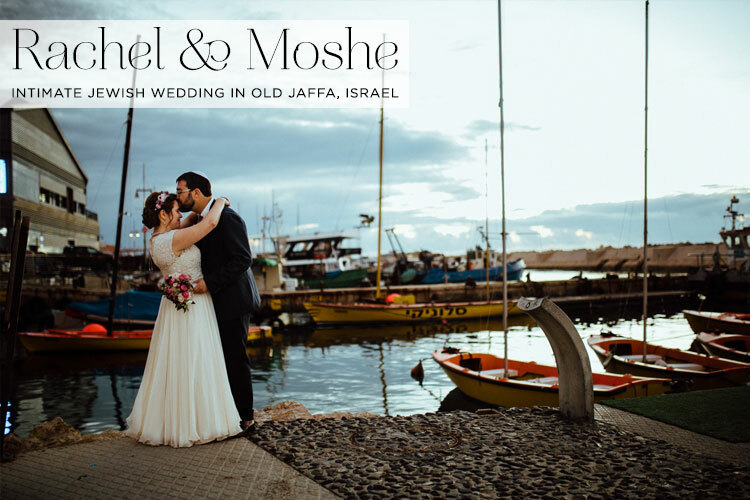 So true… Let’s hear more from Rachel and Moshe, a smashingly creative, fun and outgoing couple. 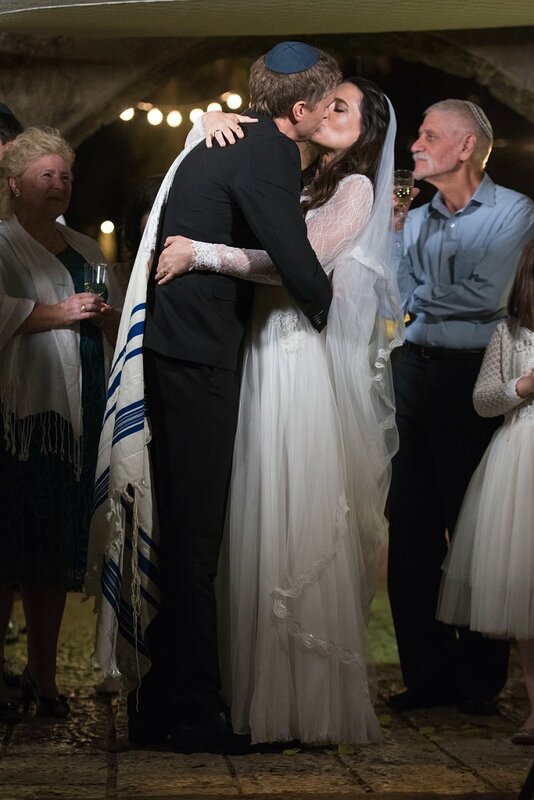 I always feel a flutter of excitement whenever I blog an Israeli wedding. Perhaps it’s because I’m half Israeli and spent all my childhood summers, and the first 3 fabulous years of my twenties there, or maybe it’s just because it’s such an enthralling and entertaining place and this vibe is embodied in all of the big days that take place there. Regardless Ravit and Sam’s white-themed destination do is no exception. They’re a super stylish couple from Toronto, with really great taste. I’d like Ravit’s emerald green Mahnolo Blahnik shoes AND her floral hairpiece please. And Sam looks dapper in his tux and Ferragamo shoes. Grooms, take note — this is a great look! 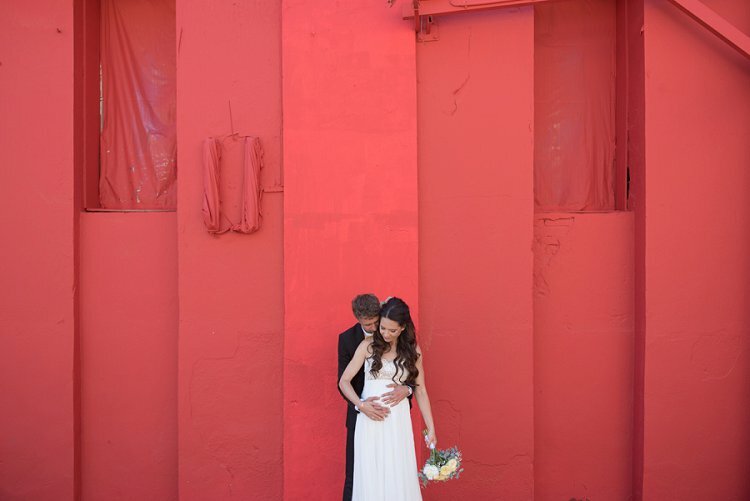 The beautiful images come from Alexey Kudrik who has captured all of the love and details. 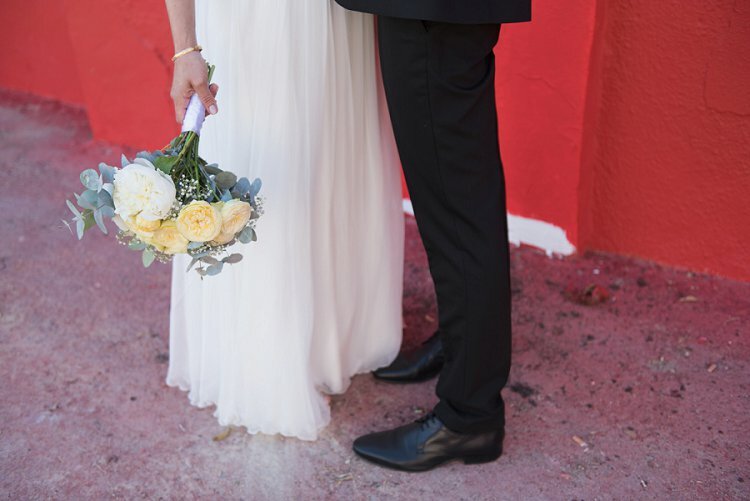 BE Group TLV, STG’s latest Smashing Suppliers, were the meticulous wedding planners (just read what the bride has to say about them at the end of the post). 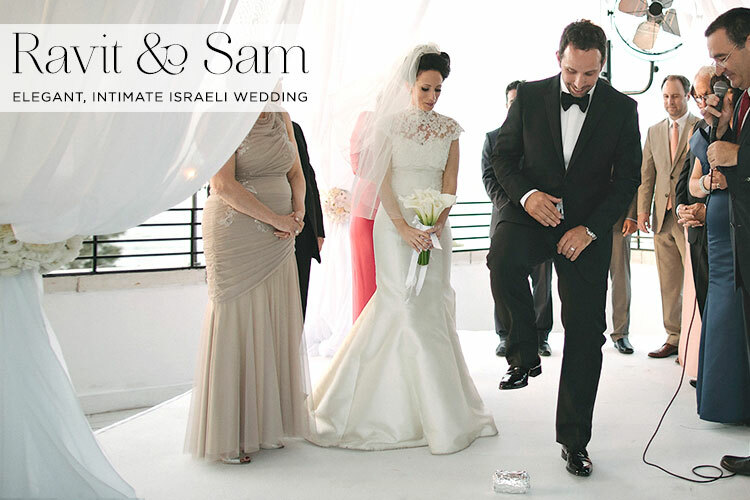 Sit back and enjoy your invitation to the sun with Ravit & Sam’s wonderful Israeli wedding.